The difference between a business website and an e-commerce site lies with design. For online stores, it is not enough to have a ‘beautiful’ website. It needs to go beyond being attractive to being functional, leading potential customers to the products they are looking for and giving them a good reason to trust your product and your website to finally add those items to their cart and purchase them. Navigation is very important in an online shop’s web design. A user-friendly navigation enables online shoppers to easily look for the items they wish to buy. While there is no standard set of rules for what actually constitutes good navigation, the goal is to create a smooth route from the site’s landing page all the way to the checkout. Section names should be clear and not confusing. Categories should be well-organized and, whenever necessary, include subcategories to make it easier for online consumers to find the items that they are looking for. There should be consistency in terms of how you organize and format the sections. And of course, do not forget to include the page on terms and conditions of sale, as this is very important in online stores. Nike’s online store provides a clear navigation path, categorizing products based on gender first then shows a dropdown list of subcategories under each gender, such as featured items, clothing, shoes, and gears. With the availability of mobile gadgets like smartphones and tablets, more and more consumers are using these mobile devices to shop online. 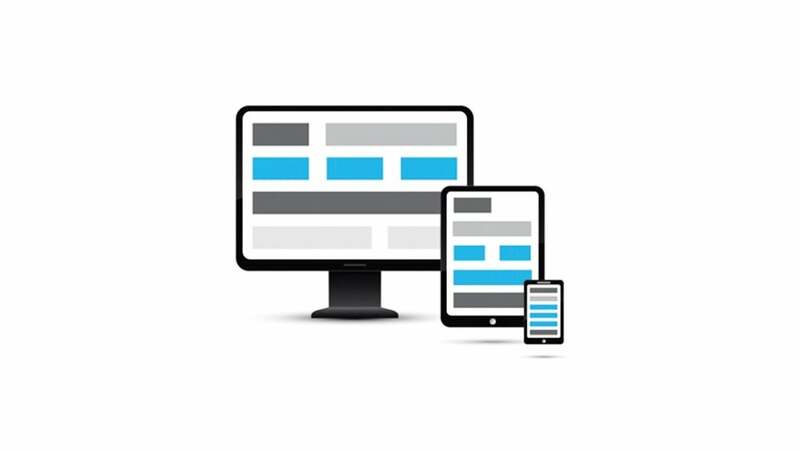 This growing trend should be part of your design strategy, making sure that your e-commerce site has a responsive design that automatically adjusts to match the screen size of the device used to view your site. Having a mobile friendly e-commerce site is also necessary to rank well on Google’s mobile search results. Just recently, Google started prioritizing mobile friendly websites, labeling them as ‘Mobile-friendly’ to assist users in choosing links to consider when doing a search using their smartphones or tablets. Loading speed is very important for online consumers. In fact, about 40% of online shoppers will leave a site if it takes more than 3 seconds to load. This can adversely affect your site’s bounce rate and conversion rate. To check your homepage’s load time, you can use Pingdom’s free website speed test. Implementing a design that loads quickly and using tools like plugins and compression tools can help prevent slow loading times. You can compress large image files for free using online tools like TinyPNG. People are more responsive to content with great images, especially those which are clear and appealing. It is no coincidence that a lot of websites now have huge, eye-catching graphics, like Zara.com. When combined with a call to action, these large images can effectively drive your online customers to make a purchase. The challenge with large images is their loading time, which can slow down your website’s loading speed. Compressing images would be one way to avoid this issue, or you can combine them into CSS sprites so the browser loads one image instead of several images. SpriteMe allows you to combine numerous images easily, so you won’t have to deal with complicated methods and trial and errors. Of course, your e-commerce site should reflect your brand’s personality. Always choose a design that is consistent with your brand image. Make sure that it is tailor-fit to your overall advertising, marketing, and branding goals and objectives. Another thing to remember is to be consistent with the industry of the product you are selling on the e-commerce site. An online store offering high fashion couture would not have the same design as a website selling arts and crafts. Which is why looking at the website Michaels.com, you see that the use of colors and layout is so much different to Lanvin’s website. Having these tips to guide you with your web design should give you more confidence in the online store that you are about to create or renovate.